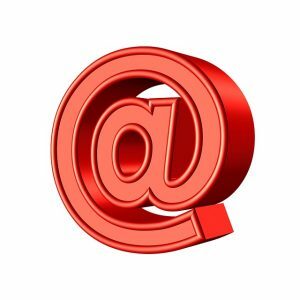 Our Services – OK Business English Training & Consulting Ltd.
Do your emails reflect well on you and your organization? Do you spend too much time writing your emails in English? Are you really happy with the result before you click on “send”? Well, we can definitely help you! This workshop provides hundreds of user-friendly tools and tips to help you write professional, friendly and polite business emails. The tips provided can be easily implemented in all emails regardless of their content. The workshop was created following a thorough research on the problems that ESL (English Second Language) people face when writing their work-related emails in English. It includes email case studies, dynamic group interactions and many examples and simulations. Following the workshop, the participants get a chance to continue their email training with the consultant by forwarding their work-related emails. This exercise, which is individually completed by all participants, allows the implementation of the writing tips and methods that are provided during the workshop. Have you always been afraid of English grammar? Has the word “Grammar” always made you think of your boring high-school classes? Don’t have a clue why I have used “Have” and “Has” in the above sentences? 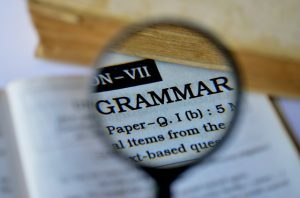 We know that grammar is one of your major problems and we are here to assist you! Have you ever been in a situation where you had to small talk in English but you never knew how to do it? 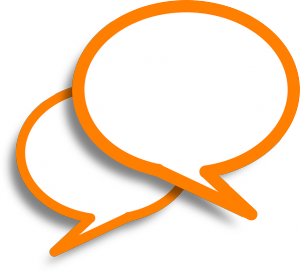 Having problems maintaining the flow of a small talk conversation in business settings? Feel like you never know what to talk about in these situations? Research has shown that most ESL (English Second Language) people do not like to small talk in English. Not only do they have to small talk in a language, other than their native tongue, but they also often find themselves speechless and feeling quite awkward. This workshop helps you sharpen your small talking skills by helping you understand what is really expected of you in different business situations (e.g. small talking during meetings, small talking at conferences, small talking during a conference call, etc.). Do you feel unprepared for your daily/weekly/monthly conference calls? Have you often felt you had nothing to contribute during the conversation? As you know, conference calls are used as an important tool to efficiently communicate across borders. When English is not your native tongue, conveying precise, short and eloquent messages during a conference call becomes an even greater task many ESL (English Second Language) people find themselves struggling with. This workshop can definitely help you function better in a conference call setting. Not only will you know what to say in different conference-call situations, but you will also be able to create a better global image of yourself in front of your international colleagues. Having problems delivering a professional presentation in English? Don’t know how to structure a winning presentation? Can’t get your audience’s attention? 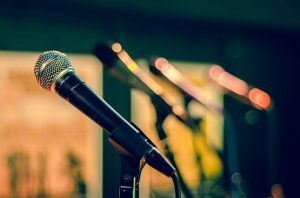 If presenting in English makes you nervous, this 2-day workshop is exactly what you need! This unique 10-session program was specifically created for managers of all levels who compete in today’s global market and use English as a major communication tool in their daily work (e.g. business corresponding, conference calling, small talking, presenting, etc.). The training is frontally delivered in small groups and includes a client-centered, interactive training to help participants advance their English communication competency and succeed in today’s business world. By attaining a higher standard of proficiency and confidence in the use of the English language, participants will be able to enhance their business skills and develop a more professional relationship with international colleagues and clients.